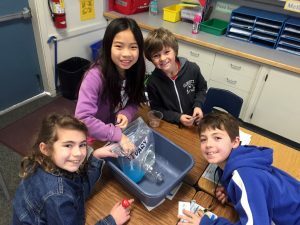 In this exciting program, aligned with Next Generation Science Standards, KIDS for the BAY comes to your classroom to teach hands-on science experiments and activities that engage students with their local watershed. 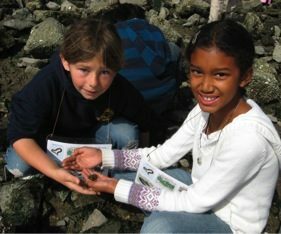 The Watershed Action Program consists of four two-hour interactive Classroom Lessons, an Environmental Action Project and a fully-funded Field Trip to a local creek, bay, delta or ocean habitat. It is also a teacher-training program; a curriculum guide and supplies are provided and activities are modeled for you with your students. Take action for your watershed by reducing trash and storm drain pollution. Demonstrate safe bay fish cooking practices at a school-community presentation. Click here to view the Watershed Action Program 2017-2018 Year in Review Flyer. Click here to view the Watershed Action Program 2016-2017 Year in Review Flyer. 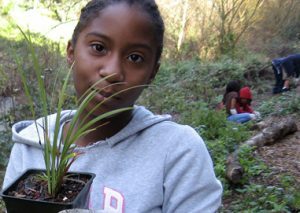 Click here to view the Watershed Action Program 2015-2016 Year in Review Flyer. Click here to view the Watershed Action Program 2014-2015 Year in Review Flyer. Click here to view the Watershed Action Program 2013-2014 Year in Review Flyer.